The original Dominator® took carburetion to another level in 1969 when it was developed for NASCAR® racing. It has been refined over the years and has received its biggest change ever. The Gen 3 Ultra Dominator features a brand new main–body, brand new state–of–the–art calibrations, high volume fuel bowls and sizes up to 1475 CFM! The patent pending GEN 3 main–body is 5/16” taller than the previous generation! This new height allowed for larger radius air entries which were optimized using Computational Fluid Dynamics (CFD) software to deliver smoother flow into new fully machined, big bore venturii. 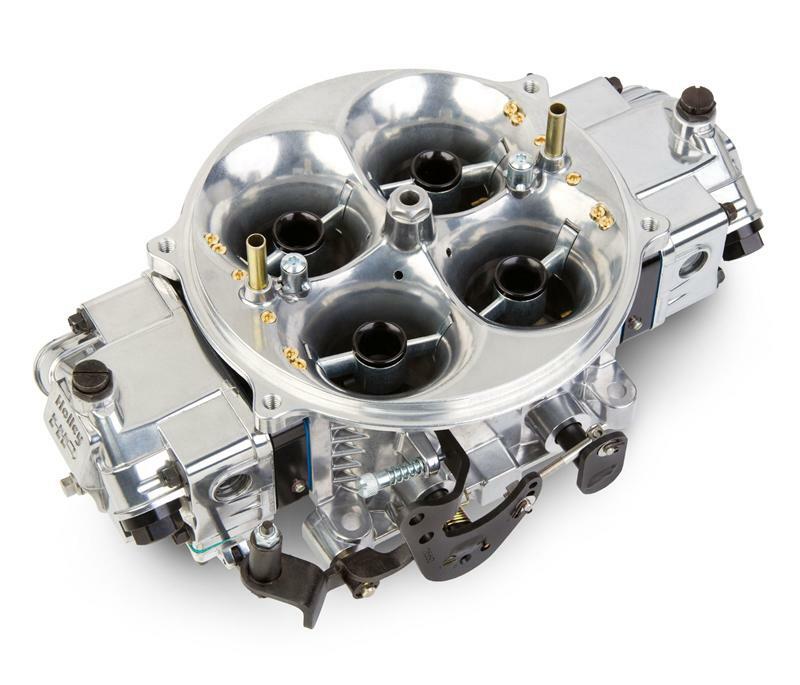 The main-body also features an integrated idle bypass valve that allows for idle adjustments while maintaining the correct throttle plate to transfer slot relationship as well as an extended air cleaner flange for easy air scoop attachment when using the available air scoop adapter. Each calibration has been dyno and track tested to deliver proven performance!